Photographer Ryan McGinley is one of my favorites! He is the king of capturing his generation’s youth-quake. Finally this long awaited book called “Whistle for The Wind” is his first major monograph of many of his years of work. His sense of color is explosive and this is a great introduction to this influential and devilish artist. 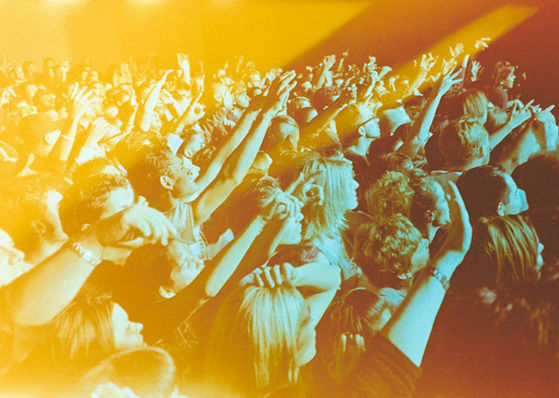 His photo of the ecstatic crowd was taken at a Morrissey concert in which Ryan followed him on tour. Two of my idols! If I was a sculptor… This is a beautiful version by Ellie Goulding who is the new Wonder kid from the UK. Number 1 for weeks over there and now a breakthrough here. I have seen her in concert twice and this girl can sing. A little Kate Bush, a little Joni, but she has her own fresh spin. A nice take on a beautiful song by Elton John. BLAST FROM THE PAST – THE ORIGINAL MISTER! A Bow Tie, a Crisp Shirt and a Big Smile. How elegant and chic! Lately the word “Mister” has been appearing on many of my texts. Many of my friends lately have been calling me “Mister.” So I went back to my past to find the one and only Mr. Softee Mister! His theme song can be heard a block away. When Mister Softee calls you run, Sir! This first solo effort by Casey Spooner of the group Fischerspooner is a big departure. The first listening made me think of early Bowie, a classic rock song with all the time changes of 70’s progressive rock. It is catchy, trippy and glamorous all at the same time. Just stripped down of the color and spandex. Still has the space-age moonage daydream feel of Casey. Bring this camel to sleep. Kiehls is very smart! Have you noticed that they LOVE to give you samples and then get you hooked? Well this time I said no. They gave me this small bottle with a nose dropper in it, in a funny blue glass color. It looked like some type of messy oil. They said put on at night. All I could think about was oil all over my pillow cases. No, thanks! I gave it to my neighbor who the next day looked smoother and younger overnight!! She said no mess you gotta do it! I then tried this “DRY OIL” and then next day my skin was regenerated and repaired. I’m a junkie, running back for my fix of free samples. I know I will breakdown soon and buy the bottle for $43.00 and become a real addict but who cares. I’m repaired!! TREAT OF THE WEEK – CANVAS TOTE FOUND! 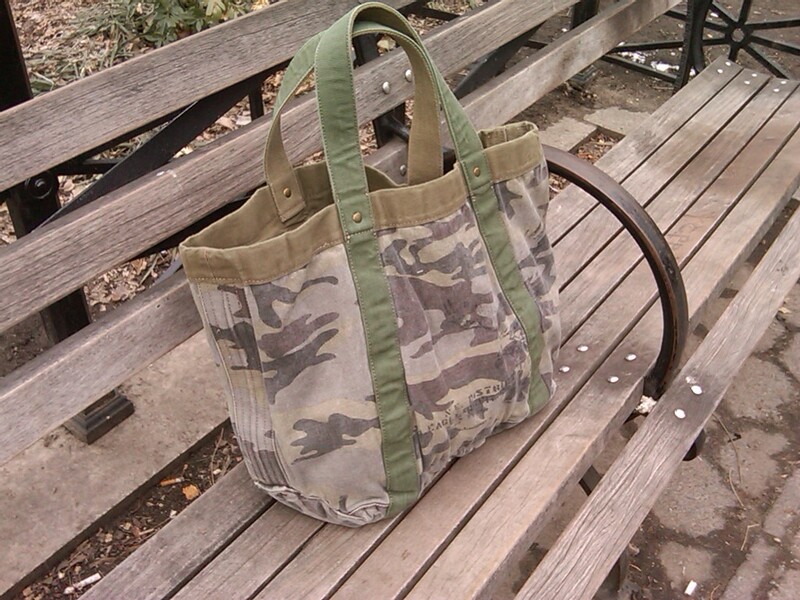 I have been searching for a camouflage tote for months. I missed the opportunity for the marc by marc jacobs tote. Sold Out! I was walking past the window of American Eagle Outfitters and this tote jumped out at me. I quickly went into the store to feel the canvas. I fell in love with this washed canvas feel, very little logos, LLBean shape and the $39.00 price point. So I decided to treat myself. I walked out of the store using this bag since the very hip salesman told me I looked like I walked in with it. I guess it was “sooo me”! The bag has the look and feel like it has been somewhere and back. Very rugged and rare!